Well, it’s that fun time of the year – summer holidays, Christmas and the New Year! 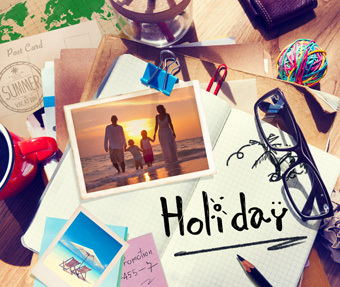 Many of us will be visiting relatives and friends, or going on the much-anticipated family holiday for a well-deserved break. However, while we always remember to lock up windows and doors, or switch off electrical appliances before going away, it’s also worth remembering to check your plumbing. 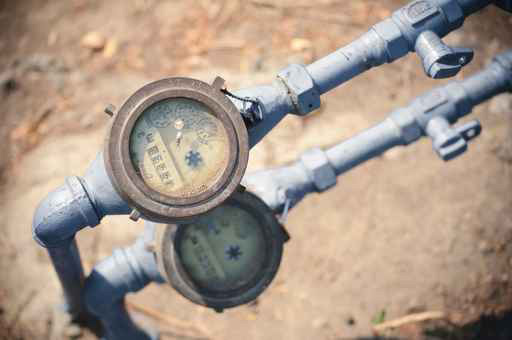 PROFESSIONAL LEAK DETECTION – IS IT WORTH THE COST? Most of you have experienced water leaks sometime in your household, and approximately 10% of homes have a water leak of some form. 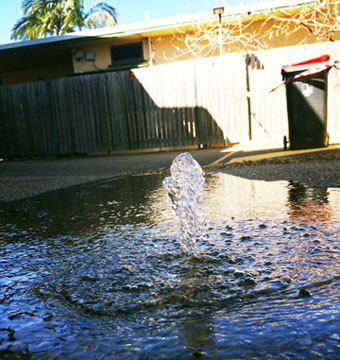 Wasted water from leaks can add up quickly and cause damage if the leak is not properly and thoroughly remedied. What’s our next option (other than repair) when I have multiple leaks? 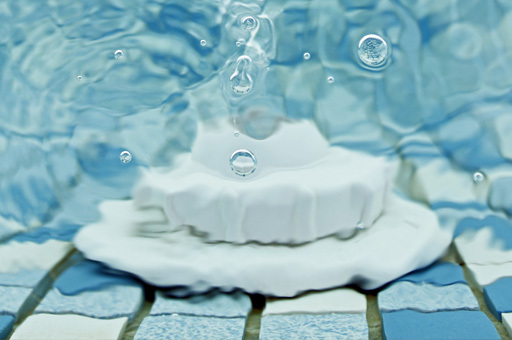 When it comes to house maintenance problems, Leaks are one of those high on the list. This is because water leaks are not only costly in terms of blowing out your water bill, but can potentially cause major damage to your property if left untreated. However, leaks can be invisible to the naked eye, especially if it is hidden inside walls or underground. 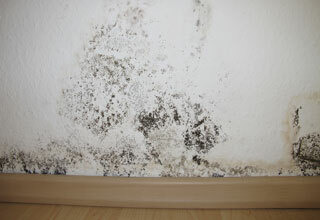 Look out for signs such as hissing sounds, mould patches, high water bills, or unusual dampness around your home. Older homes with aged pipes are more susceptible to leaks due to wear n ‘tear and corrosion. Whereas with newer homes; poor pipe material or improper installation, and ground movement can also be the culprit. Should I have the plumbing tested before purchasing a property? 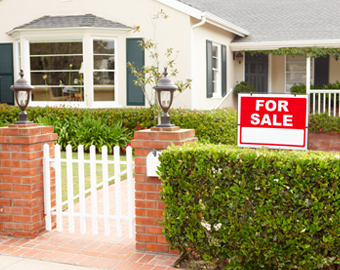 So, you’ve been on the hunt for your dream property. That’s exciting news! However, before you decide to make an offer, you need to be aware and cautious about hidden plumbing issues that not only could ruin your enjoyment of your new home, but also potentially costing you thousands! Why do pipes just burst? Previously we’ve talked about the importance of being aware and spotting the signs of possible leaks in your property. However, you might also want to know what can cause pipes to burst. 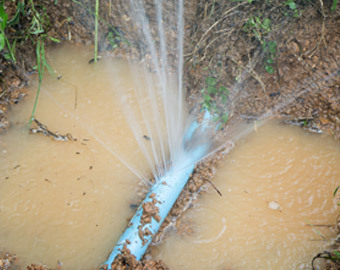 A burst pipe is not only a huge inconvenience, it can be a very costly problem – depending on where the burst occurs and how extensive the damage is. Sometimes there may not even be warning signs and the sudden burst could come as a nasty shock! 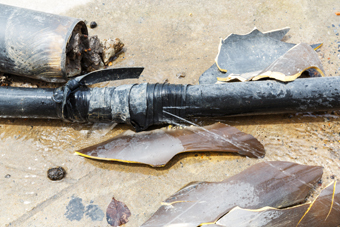 So why do pipes burst – for no apparent reason? Most of the time, there is actually an underlying cause, but due to the sudden nature of bursts, people tend to think pipes burst for no apparent reason. This is why it’s important to know the causes and how you can prevent them. 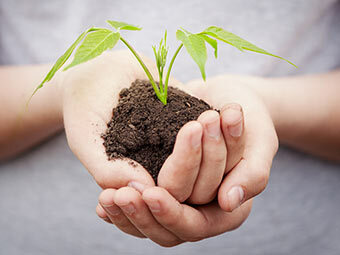 Did you do some gardening and planting over the summer? We all love to be surrounded by greenery and nature in our own backyards – experts even talk about the health benefits! However, some plants are actually not quite suited to your everyday garden. You might think the little sapling is lovely to look at now, give it several years and it could potentially grow into a drain wrecking problem. When planting, it is wise to do some research about the plant, its full life and size, and whether it can potentially damage your drains. Some plants have very strong, powerful and extensive root systems which are programmed to track and hunt down moisture, especially in times of drought or heat stress. Your drains are the perfect source for moisture, naturally. When plant roots infiltrate into your drains and sewers, they cause blockages and in some cases, even cracks which will require extensive and costly repairs. CCTV Drain Cameras – How do they work to detect leaks? 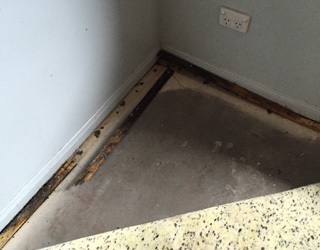 Realising that you have an undetected leak in your home used to be a great inconvenience and headache. 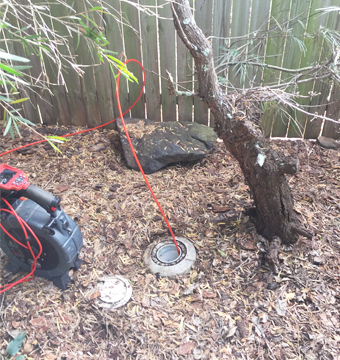 Before the availability of leak detection technology, you’d be digging around guessing as best you can where the leak may be, while potentially causing unnecessary and costly damage to your home. These days, amongst various reliable leak detection technology such as audio microphones, an innovative and visual method in leak location is through the use of CCTV drain cameras. CCTV stands for Closed Circuit Television, and this specially designed drain camera is attached to the end of a long and flexible rod. The rod and camera is inserted down the pipes or drains such as valves and hydrants, or tap outlets, to inspect the condition inside. CCTV can travel along the drains and follow the bends or curves given its size and flexibility. A specially trained and qualified technician then looks at the video feeds that is relayed to the screen above. CAN LEAKS BE FOUND UNDER CONCRETE OR DEEP IN GROUND? course, you receive your water bill and get a nasty shock! Good news is, they can be found under concrete or deep in ground. And other than an unusually high bill, sometimes there are subtle signs that could indicate a hidden leak under your concrete.